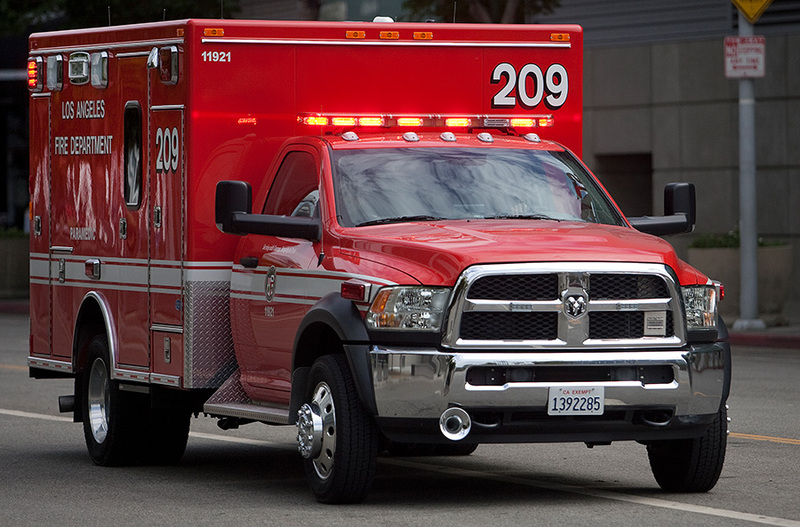 Los Angeles Fire Department ambulance. Photo by John Schreiber. A bicyclist was killed Friday morning in a hit-and-run collision with a tractor-trailer in Wilmington. The big rig was traveling west on Anaheim Street near Sampson Avenue about 5:15 a.m. when the bicyclist, who had been traveling south across the westbound lanes of Anaheim Street, struck the right rear side of the trailer, according to the Los Angeles Police Department. “The driver of the tractor trailer vehicle failed to stop and render aid, as required by law,” according to police statement. 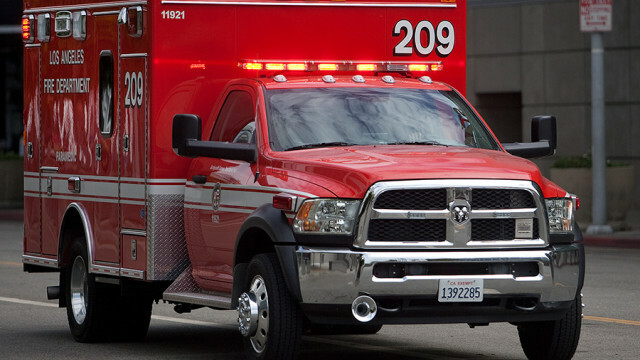 Los Angeles Fire Department paramedics responded but were unable to save the bicyclist and he was dead pronounced dead at the scene. No suspect description was available. The big rig was described as having a light-colored tractor and a dark brown trailer. Anyone with information about the fatal collision was urged to call the LAPD’s South Traffic Division at (323) 421-2500 during regular business hours to speak with Officer Yount or Officer Mendoza. After hours or on weekends, calls should be directed to the South Traffic Division watch commander at (323) 421-2577.